SERMON SUMMARY. “I would pray for myself but nobody taught me how.” This line from the Sandra Bullock character in the movie, Gravity, struck me. It made me sad. And, it made me ask, “are there members of Progressive who don’t know how to pray for themselves?” The purpose of this sermon was to make plain and simple, through the Lord’s Prayer, how we can pray for ourselves. Prayer – Honest Conversation with God. Prayer, at its essence, is honest conversation with God about what’s going on in our hearts, our minds, our spirits . . . our lives. Some of the best examples of prayer are found in the Psalms. In this book, we see the expression of perhaps every emotion – expressed to God. We see love, joy, peace, rage, anger, despair, confusion, wonder, jealousy, questioning of God, etc. Are there any emotions or thoughts that you’ve felt you could not share with God or felt you had to hide from God? Why? Remember, like a loving parent, God is big enough to hear all that is really going on with you. A.C.T.S. This acronym is a way to simple way to think about prayer. It is not a rule but a simple, clear way to think about prayer and praying. “A” stands for acknowledging and adoring God in prayer. Begin by acknowledging God in prayer and adoring God for who God is. “C” stand for confessing our sin. We have to acknowledge the reality of our sin. “T” stands for giving thanks to God for what God has done. “S” stands for supplication . . . making our requests known to God. This is where we ask God for the desires of our hearts. Which of these are most natural do you? Why? Which is the least natural/most challenging for you? Why? PHARISEES AND “THE LA PREACHERS”(v5-8). In these verses, Jesus highlights the Pharisees as examples of what not do in relation to prayer. The Pharisees loved to be seen and heard by people. We might sometimes think we have to pray like someone else. Prayer is not about being showy, flashy or impressing others. 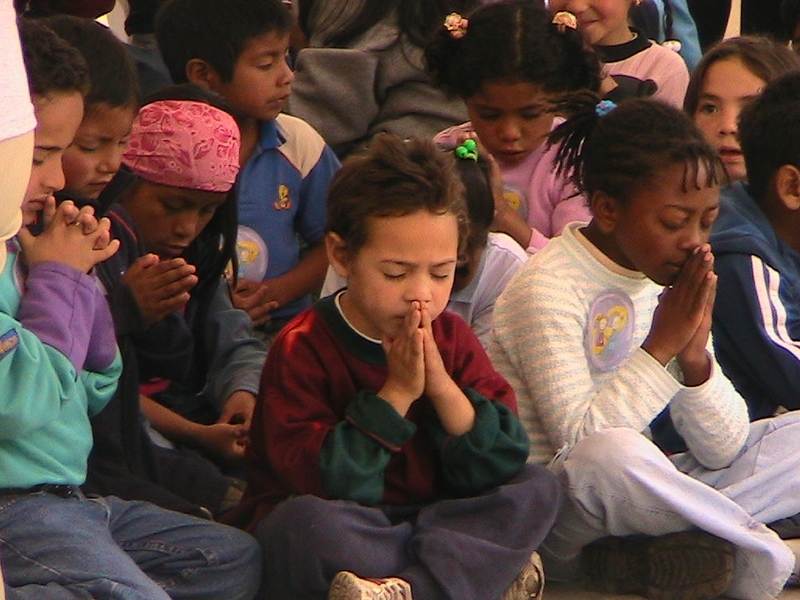 Even when others are present, prayer remains a communication, a sincere reaching out to God. Time Alone. In contrast to being seen, Jesus directed going into a place of solitude to pray to God. Why is this important? How does it help us to be honest with God? Time alone draws us into honest conversation. What are some ways & places that we can pull away to be alone with God? What works for you? Many Words. Jesus discourages “vain repetition” of words in prayer. God knows what we need-there are not exact/precise words that be used to be heard by God. Sometimes just crying out is all we can do. It is enough. LORD’S PRAYER(v9-13). Known as the Lord’s Prayer, the Disciples’ Prayer or the Model Prayer, Jesus here provides a template of prayer. Look through the verses and see where you can identify adoration/acknowledgment, confession, supplication. My prayer for this bible study is very specific. I pray that no member of Progressive or reader of this study would find themselves as alone as the Sandra Bullock character in that movie. God is always there and available to us. Cry out with a sincere heart. Don’t just say the words, but pray them from your heart. This is the essence of prayer – making ourselves transparent before God. Hearing God in the big things and in hearing him in the quiet, still small voice. Cry out and be heard – and listen for God’s response.